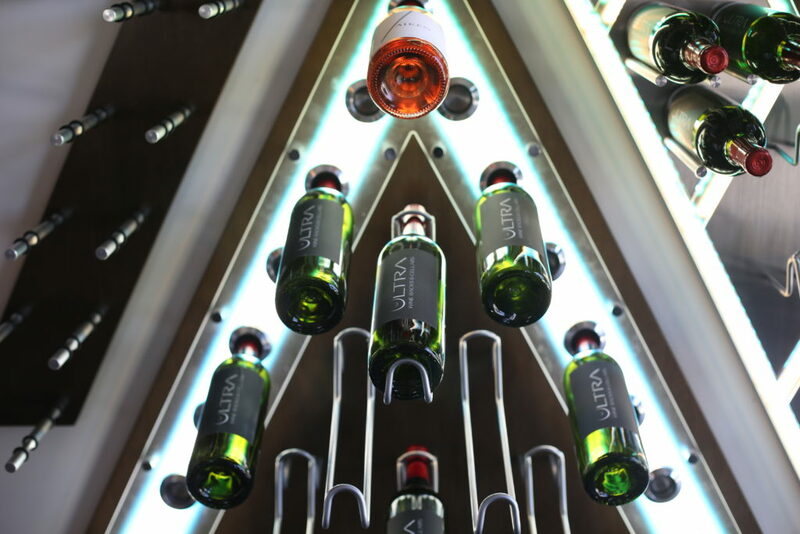 Angled Displays are unique modern Ultra wine racking systems which create the illusion that the wine bottles are floating in midair. These displays are designed to showcase your bottle labels in an eye-catching fashion. They are one of our most secure racking systems. Unique modern wine rack holds bottles at the optimum angle for label viewing and secures bottle very tight.